The Knox County Humane Society in Galesburg recently came out with a specific request for help on Social Media. 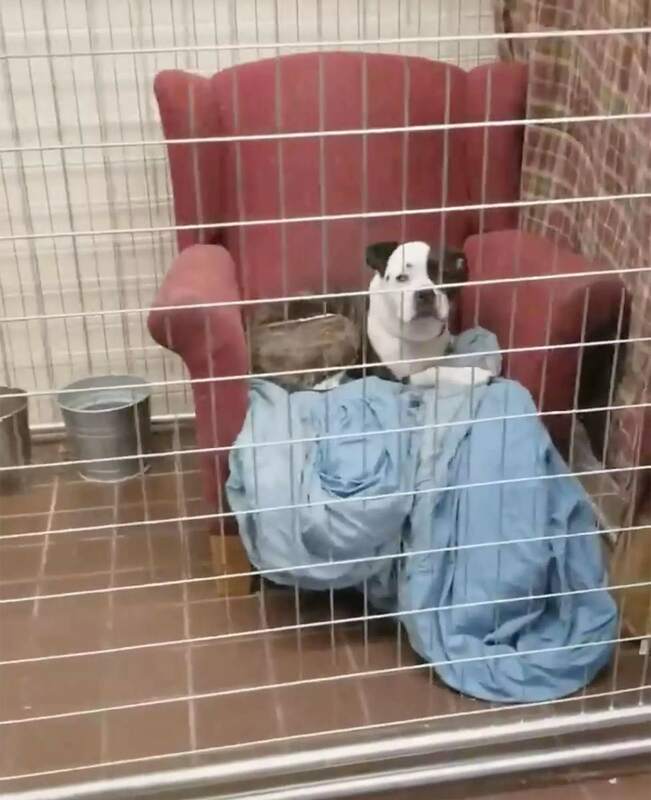 They asked all people of good will to donate their old armchairs so their dog and cat residents could have comfy places to sleep while they wait for their forever homes. The request was followed by a short video showing three of their canines – Mickey, Tango, and Goober – resting in stylish armchairs, looking just like they’re already on their favorite spot in a loving home and not in a shelter waiting for the happy day to happen. This campaign turned out to be of a great success and the shelter soon received dozens of donated chairs, all of which will go towards housing their animal residents. 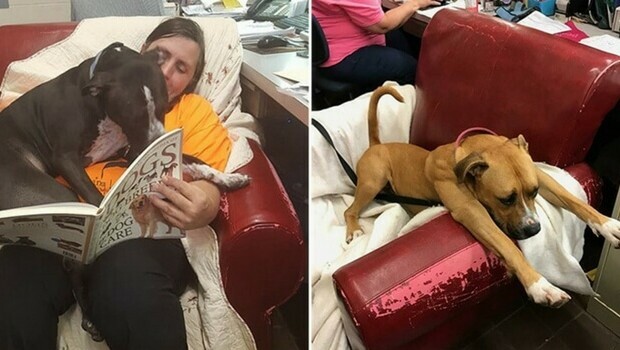 Thanks to this social media campaign and pawesome video which got viral pretty quickly, all residents of The Knox County Humane Society have their cozy spots to rest while waiting for adoption. The success of the campaign was inspirational for other shelters which started asking the same kind of the donations from their communities and we hope many more pups and cats will get their cozy spots. Also, there was a significant rise in interest in adopting dogs/cats since the campaign went viral which is a true victory for everyone especially lucky pups/cats who found their loving homes. Buster Brown resting in his favorite spot in The Knox County Humane Society. “Buster was so comfortable. We thought they all needed one,” Erin Buckmaster, KCHS’s volunteer executive director, told Today.